Music video by Michelle Williams ft. Beyoncé, Kelly Rowland performing Say Yes. Destiny’s Child is back. 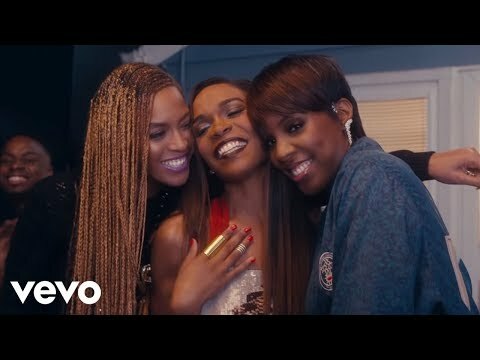 Michelle Williams reunites with her groupmates Beyoncé and Kelly Rowland in the video for Williams’ new single “Say Yes.” The ladies are all smiles as they perform at a house party in the feel-good clip, which debuted on “GMA.” “It’s Destiny’s Child time again,” said Beyoncé. “This song is so inspiring and it’s not enough music out there like this and I’m proud to be a part of it.” Michelle added, “We’re still loving each other, supporting each other. They have no idea what it means to me and I think it’s full circle. We’re still rocking it out.” The Harmony Samuels-produced song will appear on Williams’ third album Journey to Freedom, due September 9.